The Deplorable State of America, or Sc-h Government, artist unknown, 1766, Lewis Walpole Library. 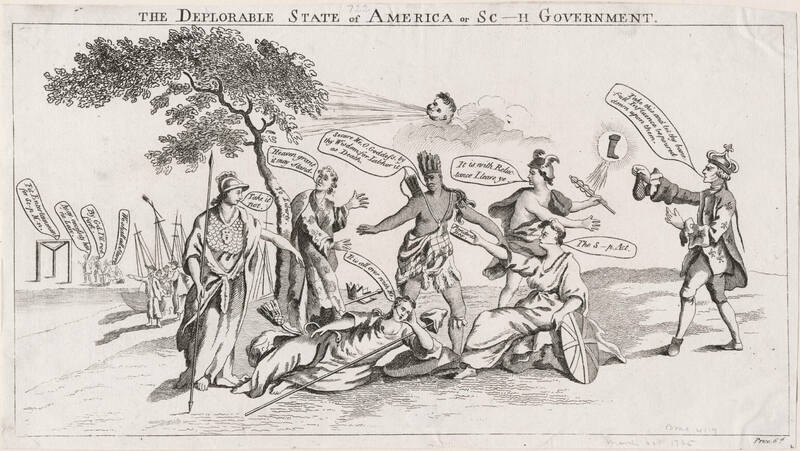 Britannia, Freedom, the King, America, and other metaphorical figures are crowded about the center of this political cartoon. With a couple of references to the Stamp Act, this cartoon is apparently in opposition to the revenue raising measure and its effect on America. While much of it is admittedly beyond me, we do find familiar figures to the left. The sailors stand around a few boats, one of which sports a broom at the masthead, indicating a triumph. 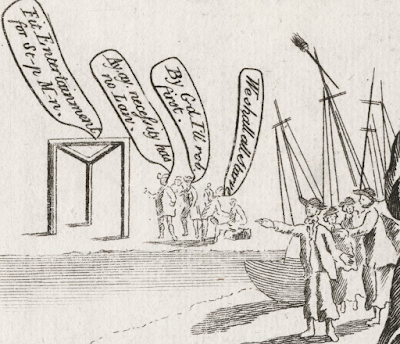 The first figure to speak (if we read it left to right) is a gallows. 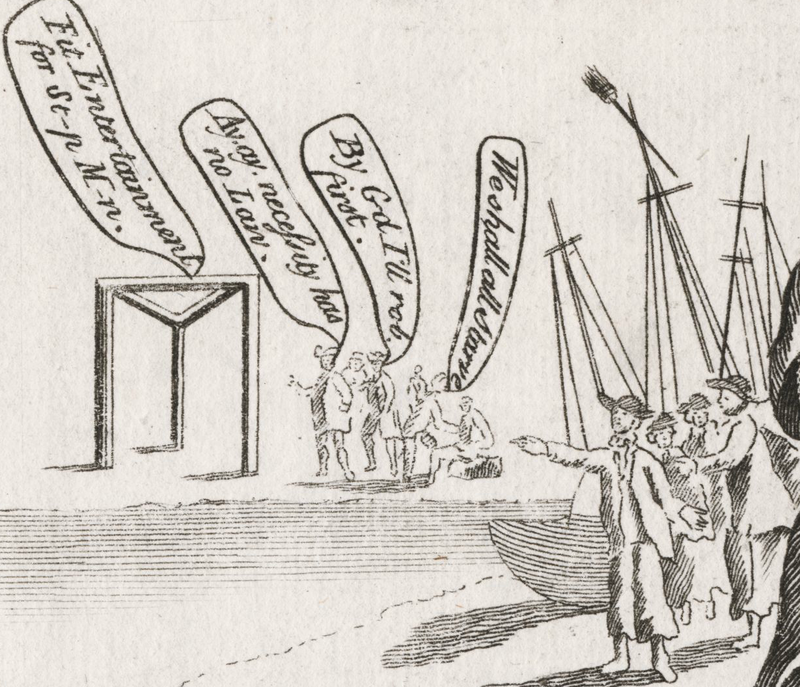 It declares itself a "Fit Entertainment for St[am]p M[e]n." The other figures by the gallows may not be sailors, but there is too little detail to be sure. I can confidently assert that the figures in the foreground of the above detail are sailors. They wear round hats with short, rounded crowns and wide brims. Plain neckcloths are fitted about their collar, and they wear short jackets that end below the waist. The one turned toward us, and pointing toward the gallows, appears to be without a waistcoat. All of them wear slops/petticoat trousers that extend to about halfway down the calf.